Grouse moor owners, supported by millions of pounds of taxpayer subsidies, brutally kill and maim a huge number of wild animals and leave vast swathes of precious peatland drained burnt dry and scarred with vehicle tracks. This is all so that unnaturally large populations of red grouse can be nurtured as live targets for ‘guns’. Here are some Animal Aid videos about the intensively-managed grouse moor on Walshaw Moor Estate above Hebden Bridge, ahead of the Inglorious 12th August. Walshaw Moor Estate Ltd (WME) is to receive a publicly-funded subsidy payment of £2,504,668.08, over the 10 year period of its Environmental Stewardship Agreement with Natural England. Starting from June 2012, the Agreement -Number AG00410821 – covers 3,486.1 hectares and commits WME to carrying out a range of environmental management measures. Why is Natural England allowing WME to burn blanket bog, when the Burning Code strongly advocates a ban on burning this habitat? 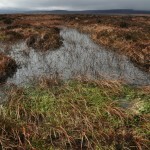 The Agreement allows “controlled” blanket bog burning – despite the already degraded state of the blanket bogs. 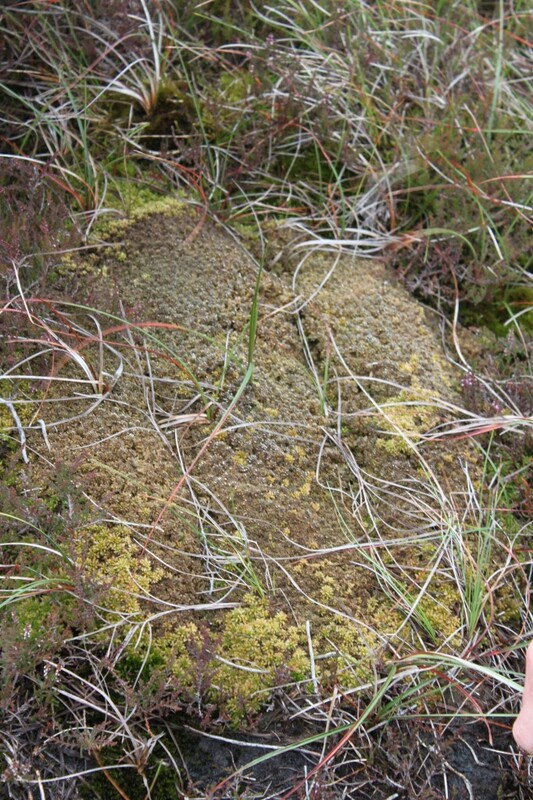 This goes against Natural England’s original intention of banning blanket bog burning on Walshaw Moor Estate. It tried to enforce the ban in 2011, by modifying the previous Consent and starting prosecuting Walshaw Moor Estate Ltd for criminal damage to protected habitats and wildlife last – before dropping the case to widespread public consternation and the delight of grouse moor owners. Because the WME land is a Site of Special Scientific Interest, it can only carry out activities if Natural England consents to them. 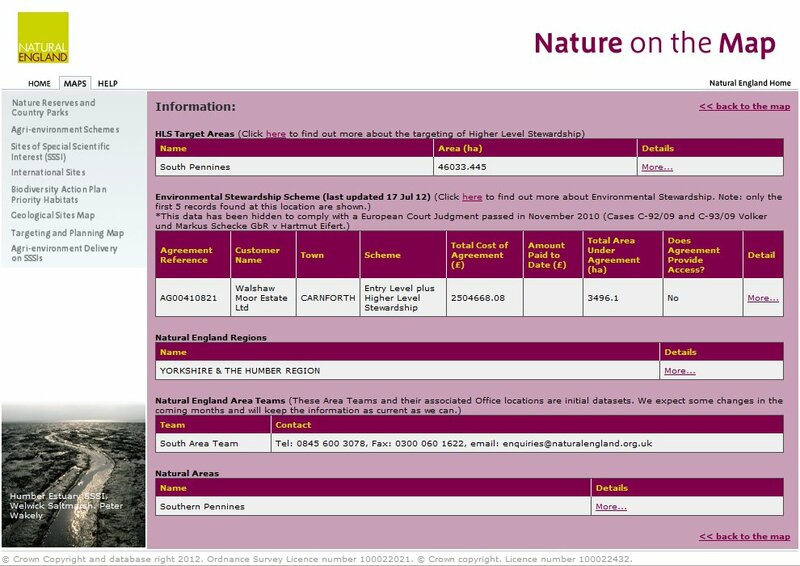 In the 2012 Consent, Natural England appears to sidestep the Heather and Grass Burning Code. The Code strongly advocates a ban on burning sensitive areas (which include blanket bog), unless there are special circumstances where the advantages of burning outweigh the disadvantages. But the 2012 Consent permits burning on both active and degraded blanket bog – types of habitat that the Heather and Grass Burning Code categorise as ‘sensitive areas’. Which presumably relates to the exception to the Code. The section of the code on sensitive areas relating to peat bog and wet heathland states that these areas should not be burned ‘other than in line with a management plan agreed with Natural England’. The consent defines the agreed management operations (grazing, burning and use of vehicles) and so burning of these areas defined in this context does not contradict the code. the Heather & Grass Burning Code says, “there should be a strong presumption against burning sensitive areas. Doing so may permanently damage the environmental interest of the land and may be unlawful. In special circumstances, the advantages of burning on sensitive areas may outweigh the disadvantages.” So I suppose the next question is, what are the special circumstances on WME? I will go back to Natural England with these new questions and update this post when I receive an answer. 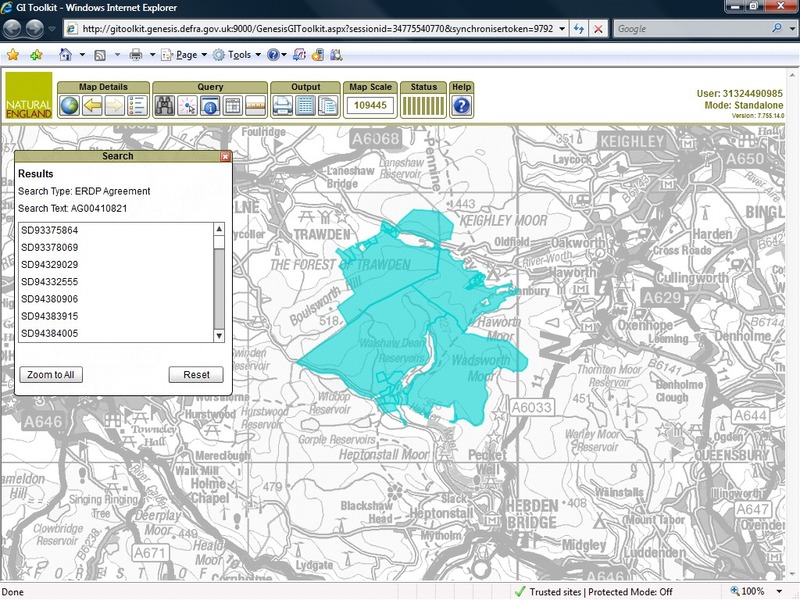 Updated 11 Sept 2012 with Natural England’s answer to my question. Went for a walk to Heather Hill on Widdop Moor/Walshaw Moor to find out what blanket bog looks like, since I’ve been hearing quite a lot about it recently. We couldn’t find very much, because most of it was very degraded. And what there we did find was very species poor. But this is a small patch we came across.